1). The product uses double-sided fiberglass circuit board material, the components installation processes are performed orderly to ensure the clarity of electric signal flow. 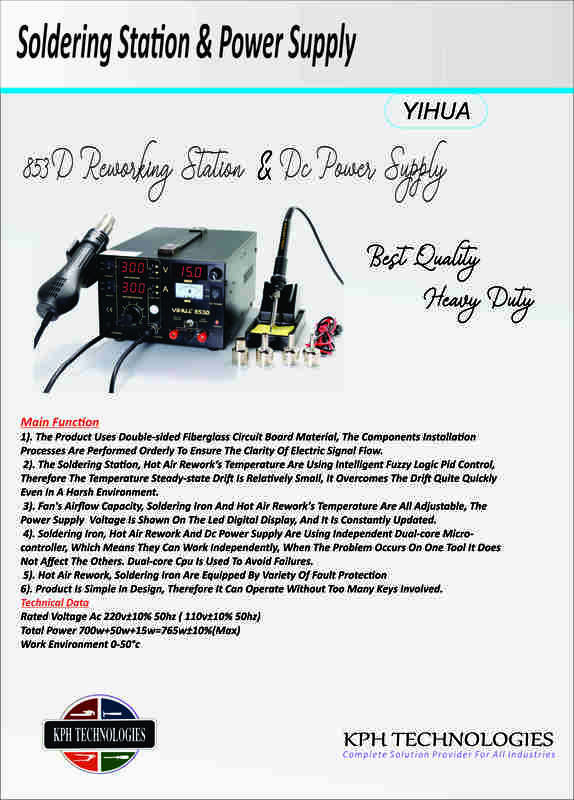 The Soldering station, Hot air rework‘s temperature are using Intelligent Fuzzy logic PID control, therefore the temperature steady-state drift is relatively small, it overcomes the drift quite quickly even in a harsh environment. Fan's airflow capacity, Soldering Iron and Hot air rework's temperature are all adjustable, the power supply voltage is shown on the LED digital display, and it is constantly updated. 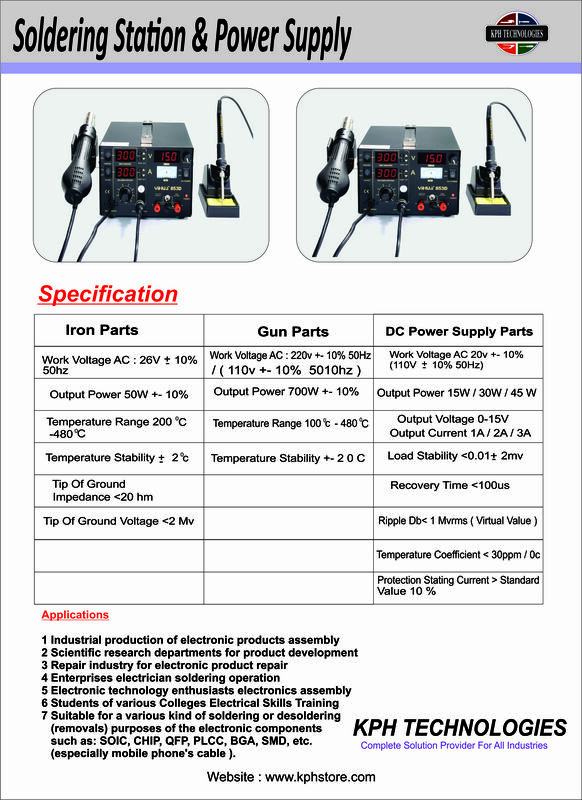 Soldering iron, Hot air rework and dc power supply are using independent dual-core micro-controller, which means they can work independently, when the problem occurs on one tool it does not affect the others. Dual-core CPU is used to avoid failures. Product is simple in design, therefore it can operate without too many keys involved.